I've decided - for a number of reasons - not to update this livejournal anymore, but instead to focus on my Wordpress site, where I've been crossing posting everything on LJ anywhere. I've added a widget on my Wordpress site - https://annebarwell.wordpress.com/ - so that anyone who wants to follow me can sign up for email notifications of new posts. 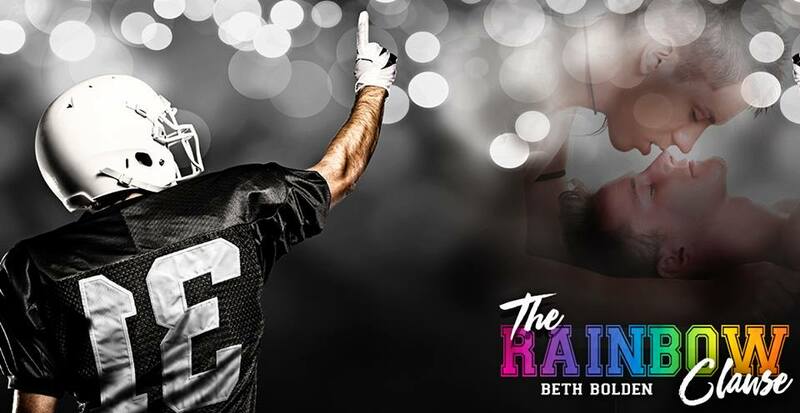 A big welcome today to Beth Bolden as part of her blog tour with Embrace the Rainbow Book Promotions for The Rainbow Clause. 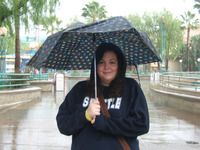 Hi, I’m Beth Bolden. 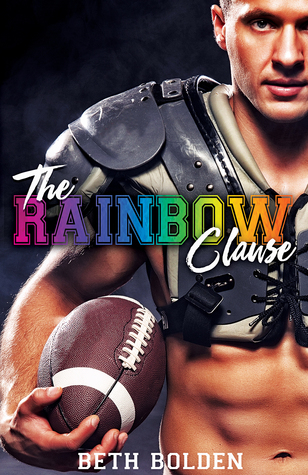 I’ve been publishing romance since 2014, and The Rainbow Clause is my sixth book, but my first m/m romance. I like to write stories that have sports as a background – two of my books are centered around baseball, one takes place at the 2016 Rio Olympics, and The Rainbow Clause is my first about football. I’d been wanting to write a m/m romance for awhile because I enjoyed reading them so much. When I was editing Summer Attractions early last summer, it occurred to me that Nick and Colin, two minor characters in that book would make a great couple. And that idea is what became The Rainbow Clause. One of the subplots of Summer Attractions is that Colin, a football player, has long been in love with the heroine, Jemma, but she only sees him as a friend. That also gave me the opportunity to write a bisexual hero, which is something else I’d really been wanting to write. Are there any characters that you write, that are based on you, or people you know? I always try to write unique characters, but by the time I’ve finished every book I’ve written, I always find some facet of myself in my characters. Even if I didn’t realize it was there, and didn’t have a plan to write it in. I guess I’m very set in the write what you know camp, even when I try to move past it. Do you have a favourite character and/or book you've written? Who, what and why? I know saying this book is cliché, but it’s the truth. I think it’s easily the best book I’ve ever written, and I’m unfairly proud of it. Also, I love Colin and Nick and I feel like I could write about them forever. I set out to write this short little freebie epilogue, and it hit almost 10,000 words. I feel like there might even be more of their story to tell, if the right idea strikes me. The combination of Colin’s innate belief in everyone’s goodness is such an irresistible combination with Nick’s sarcastic cynicism. Like all great couples, I think they’re both great on their own, but they make each other better. And that’s special, I think. Do you write often? Is it on a schedule, or whenever you feel like it? I try to write 4-5 times a week. Sometimes every day, if I’ve got a good momentum going. I try to structure my writing schedule around two things: 1) my personal theory that writing is like a muscle, and it needs exercise. If you get out of the habit, it’s a lot harder to get started again. 2) Nora Roberts’ famous quote: “You can’t edit an empty page.” I don’t throw away as much as I used to (on my first novel, I did nanowrimo, and literally tossed nearly all that 50,000 words when I was done, and basically started over), but the principle remains. You can’t fix something that’s not there. So you’ve got to get something down. Every time I hit a block, I tell myself that. I have a competitive cooking m/m romance coming out in August 2017, called Taste on My Tongue. I’m in the middle of editing, and it’s such a fun, really lighthearted romance, crossed with all the pressure of a competitive cooking show. It was so much fun to create my own, Kitchen Wars, which is a combination of a lot of my favorite shows, like Chopped, Cutthroat Kitchen and Masterchef. I’m also planning a Christmas novella for the end of 2017, which will take place at Five Points, the blog that Nick and Jemma both write for. I’m hoping to include some old characters and new ones. In 2018, I’m going to attempt to tackle a trilogy, which is a lot more plotty than I usually go for. The plan is to do pirates, in space. I guess it’s better to be overambitious than not ambitious enough? I really want to try to release something, even if it’s small, every few months. When Landon returns to their station, Quentin’s waiting there with an expectant expression. “Ready to chop?” he asks with a sly twist to his lips. “Chop, chop, baby,” Quentin teases. And Landon is pretty sure one of the cameras has been focused almost exclusively on them since the sixty minute time started. He knows they’re cute, knows they’re flirting with each other, almost unconsciously at this point, and knows they must make really excellent television. So it’s not like he plays up the flirting for extra effect, but well, if he bats his eyelashes a moment longer while he wipes and carefully chops the mushrooms and washes the arugula, then nobody can really blame him. The public isn’t actually voting for them, but Landon knows how this all really works. If they become crowd favorites, the producers will make sure they stick around. Quentin cottons on as he moves to set the burgers carefully onto the stovetop grill. “What are you doing?” he asks quietly, leaning in and letting the sizzling of the cooking meat prevent the cameras from picking up on his words. Landon leans in further. If the cameras catch any of this, it’ll just look like two boys who seem very much into each other — which is technically true. “What I can to make sure we win,” he says and rises up on his tiptoes and presses a quick, fleeting kiss to Quentin’s cheek. Do you get emails asking why characters didn’t get together and whether you’re going to write more about them? I wrote the first two books of a planned three book series, and over time, I’ve discovered that particular genre is a tough one to write in. Not from a writing perspective, but from a promotional perspective. 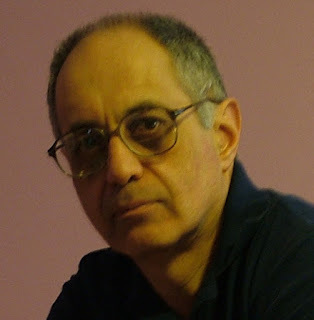 I don’t have the time to devote to really trying to get my books out there, and I’ve made a decision to cut bait on it. People don’t typically email me about it, but I feel guilty sometimes. Also some advice: don’t dig your characters into a big hole unless you’re sure you know how to get them out of it. It would be a LOT easier if I quit my day job, that much I’ll tell you. But somehow, I lucked into a day job that I really enjoy, working for people I respect, with co-workers I actually like. I’ve been in the workforce long enough to know that these are not common scenarios, so I’m loathe to leave. It just means I have to be more disciplined during my writing time, which is not always easy for me. People are always surprised when I tell them that I’m an accountant in real life. A big welcome to Alina Popescu as part of her release day tour for Touches. As well as a great cover from Reese Dante, Lou Sylvre and I now have a release date for Sunset at Pencarrow, which represents New Zealand in Dreamspinner Press's World of Love series. 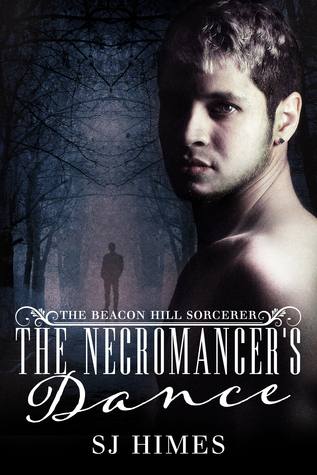 A big welcome to SJ Himes today as part of her release day blitz with Embrace the Rainbow Book Promotions for the audiobook of The Necromancer's Dance. Detective Grant Collins was Irish to the core, dark haired, late thirties, looked fantastic in a dove gray designer suit that clung to every slim, lean line of his toned body, and he hated Angel with every ounce of his considerable intellect. A big welcome today to Alina Popescu for her cover reveal for Touches. With a noncommittal grunt, Tudor turned around and walked toward the door. Radu could follow or not, he didn’t much care. He went straight to the reception area and asked if there was a place to eat nearby. They were exactly five minutes from Times Square, so he expected fancy, expensive, and not necessarily the best food ever. The guy at reception was their first guardian angel in this city and told them about a nice little diner down the street from the hotel. Tudor moaned his approval and saw the teen swoon a little. He thanked him with an unnecessarily wide grin, just to make him feel good about himself and headed through the door. “Be what?” Tudor said, stopping in his tracks and shoving his hands into his jeans’ pockets. Tudor chuckled and shrugged, then continued toward the diner he could now see. He licked his lips in anticipation—diner food was one of his many, many very guilty pleasures—feeling a tingle of delight in his gut. On his last trip to the US, he’d eaten every meal of every day in a diner, until he was so sick of the stuff that he needed a break. A short one, half a day, to be exact, and then he’d started it all over again until he went back home. “No, seriously. I did not expect you to eat anything that was not healthy and tasteless,” Radu whined as they were shown to a booth in the rather large diner. “Is that because the boys wouldn’t want you anymore?” Radu asked, grinning wolfishly, as if he’d finally gotten an official come-out speech. For a second, Tudor worried if they had some sort of betting game at work, something like how many days it would take for him to either come out or kill Radu. Then he realized they surely did, most likely on both counts. “I don’t need any weapon to kill you, Radu,” Tudor said, lowering his voice and smiling sweetly at him. He was delighted to see Radu’s eyes pop out and his breath hitching. Yeah, fucker, you should be afraid. I'm blogging at Love Bytes Reviews today about superheroes, and would love to hear about your favourites. 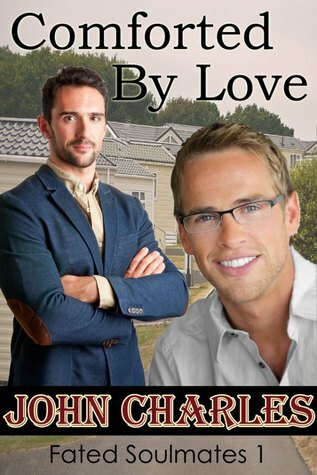 A big welcome today to John Charles as part of his blog tour with Enticing Journey Book Promotions for Two Weeks To Life.